August 1 marks the nationwide rollout of the emergency hotline "911". Citizens can call "911" for quick response to situations concerning crime, health, emergency services and other serious concerns. The 911 hotline will replace Patrol 117, which is currently the country's emergency contact center. The service will be available 24/7 and will be manned by officials of the Presidential Action Center (PACE). Working like a call center, officials will take calls and reports from the public and refer their concerns to the nearest authorities for immediate action or response. President Duterte requested the implementation of the 911 emergency hotline service nationwide, for Filipinos who need immediate help in times of distress. The President's hometown has a similar emergency service known as Davao Central 911, a vital service which make Davaoeños feel safe and secure knowing that immediate government help or response is just a phone call away. Major telcos in the country recently signed a memorandum of agreement with the Philippine government to implement the 911 emergency service. Globe, Smart, Bayan Telecommunications, and Innove were signatories to the agreement. Globe earlier asked more time from the National Telecommunications Commission (NTC) to implement the service. Initially, Globe said its subscribers can access 911 starting only on August 18. 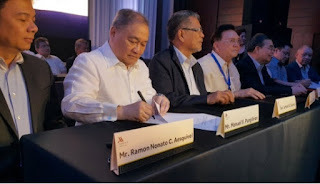 But on July 27, Globe Telecom announced through its General Counsel, Froilan Castelo, that the company is ready for voice calls to 911 and 8888 hotlines on August 1, like the other telcos. NTC Commissioner Gamaliel Cordoba said that Hotline 911 is still undergoing testing. At present, there are 30 people handling the hotline in Metro Manila, while 15 are in charge of Cebu. Meanwhile, the hotline 8888 was designated by the National Telecommunications Commission as the country's national complaint hotline via Memorandum Order 09-07-2016. The memo states that from 01 August 2016, all public telecommunications entities shall connect 8888 calls to the Civil Service Commission and Presidential Action Center Citizens Complaint Center. The public should bear in mind that 911 is for emergency situations , while 8888 is for filing complaints about corrupt officials, inefficient government employees or unfinished government projects. Are calls to 911 and 8888 free of charge? For the meantime, regular voice charges apply. But NTC Deputy Commissioner Edgardo Cabarios said the government is mulling the possibility of making it toll free or free of charge. Cabarios said that the President has issued a directive to make it free, but it will be the telcos who will make the announcement, if ever that becomes a reality. Globe is presently being criticized online for its statement that it will charge an additional 5 pesos on top of regular voice charges for any call made to 911. Globe General Counsel Castelo said that the 5 pesos was suggested by the government to discourage prank calls. Castelo said they patterned the arrangement from the former hotline 117, wherein Globe was charging an additional 5 pesos for every call. NTC Deputy Cabarios said that the additional charge went to maintenance of the contact center, as reported by Rappler. The 911 emergency number is an important service and could spell the difference between life or death in some situations. Likewise, the 8888 complaint hotline is the fastest way for the public to air their grievances about government services. We should use these numbers wisely and not tie up the lines with prank calls, unnecessary calls or trivial inquiries.